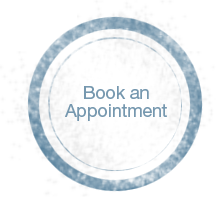 Our goal is to provide our patients with an exceptional level of dental care in a most gentle, efficient, and professional manner. With our help, patients are able to experience an enhancement of quality of life, health, and self-image. We pride ourselves in creating a warm, friendly, and calming environment to help make your visits more enjoyable. We treat smiles of all ages, and place a strong emphasis on prevention of dental diseases to help our patients have a lifetime of healthy smiles. Establishing long lasting relationships with our patients based on the solid foundation of mutual trust, open communication, and compassion is what we do best. It is extremely important to us to be able to have open and honest discussions about a patient's diagnosis and varied treatment options. We need our patients to take an active role in their treatment, and only well-informed and educated patients make the best choices for their or their family's dental care. Every person is unique and has their own specific needs and desires relating to their oral health and appearance. The comprehensive and personalized dental care we provide is based on a thorough understanding of our patient's own expectations for their dental health and appearance, AND our patient's understanding of what treatment choices are always available to them. Please explore each section to learn more about the world of dentistry and what we can do for you.